The Creuse is one of the least populated areas of this Country. With its many rivers and lakes (many suitable for swimming in), it is considered to be the ‘Lake District’ of France. Its beautiful countryside is perfect for walking, cycling and horseback riding with many miles of off road tracks and pathways. Our water is amongst the cleanest in France and our air is clean and unpolluted, this together with the friendly local people and the lowest crime rate in France, makes this, for us, the perfect place to live. 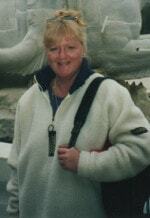 I moved to the Limousin with my husband around Christmas time 2006. We had spent a lot of time driving around France and looking at the different areas before deciding that the Creuse was where we wanted to live. Our first year was spent renovating a derelict farmhouse. After that, our energy went into starting up a building company, just like we had in England. That accomplished, we could start to really enjoy our life here and now can not imagine living anywhere else. We share our home with various dogs, cats, horses, poultry and sheep just as we always envisaged but were unable to do when we were living busy, frantic lives in the UK. Now, our days are still busy but calmer, so we are able to take the time to enjoy and appreciate our lives. This beautiful property has six bedrooms and is on mains drainage. It is also within a very . . . This grand 18th century house was built by Marquis de Valady and sits within the old walls of . . .
Detached four bedroom house built on the bank of the magnificent River Creuse, with its own private jetty and superb views. 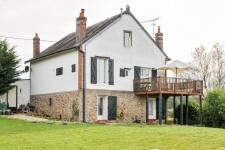 This very individual house sits in a commanding position along the beautiful River Creuse. It . . . 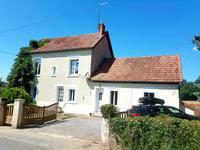 This lovely complex consists of a beautifully presented 4 bedroom farmhouse which is . . . This superb house with 5 bedrooms and 5 Shower rooms has up until recently been a bed and . . . Beautifully renovated 4 bed house and 2 bed house plus a mill to renovate. Complex of three buildings. The main 4 bedroom house, a second 2 bed house and the old mill, . . . 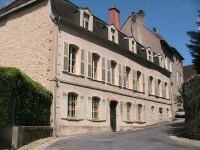 This old longère with adjoining barn (now garage) used to be a bakery and relais for La Poste . . .
A property with 'Wow' factor, this French property really does have it all. A large, grand . . .
Beautiful four bedroomed, fully renovated, character property set in a tranquil little hamlet. This detached fermatte style property has been renovated to a high standard retaining all of . . . This lovely, large house is set in a commanding position in a pretty, typically French . . . This characterful property has three bedrooms in the house and two more in an annexe opposite. Lovely private but not isolated property which provides a three bedroom home, a separate one . . . Situated in a lively little market town, this lovely house is within walking distance of all . 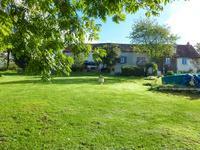 . .
Lovely 3 bedroom detached house with stunning garden and land. This characterful house is a gardener's paradise, surrounded by its stunning garden with a . . . This five bedroom family home is in need of some updating internally but benefits from oil . . .
Two houses, attached barn, garage, large hangar and a detached barn in a secluded position. A 5 bed house with 4 bathrooms, a second house which needs partial renovation, a garage, a . . . 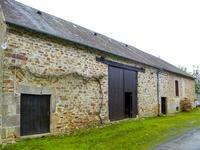 Superb farmhouse with 2 apartments, barn, outhouse, land stunning views of countryside, Creuse, Limousin. This exceptional farmhouse has been completely renovated to a high standard and is ready to . . . This lovely house has four good size bedrooms, two bathrooms, swimming pool, barn, 3 sided . 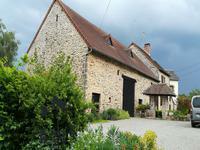 . .
Lovely stone detached house with barn and hangar. This lovely house with its feature stone staircase currently has two bedrooms, however, the . . .
Large versatile house with plenty of outside space and big above ground pool with decking. This house can have up to 6 bedrooms, depending on how you configure it. With its large . . . Elegant spacious Maison du Maitre type 4 bedroom family home in well located village. Large, spacious, light and airy 4 bedroom family home with a number of other buildings which . . . This house, although in need of a little updating, is perfectly habitable. It has oil fuelled . . . 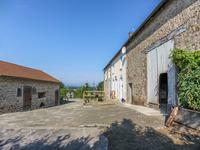 This unique property is set at the foot of the lovely village of Gargilesse which is withçin . . . This cottage type property is situated in a lovely spot with great views over the . . . 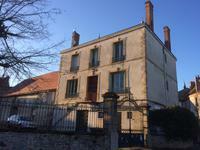 This grand 6 bedroom house is currently being run as a succesful Chambres d'Hote which . 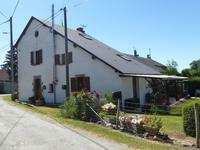 . .
Lovely 3 bedroom detached house with large barn and in-ground swimming pool. 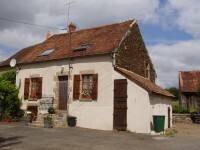 This lovely property is in a small hamlet close to the village of Fresselines. This is where . . .
Light and airy, this house sits in its own grounds with a lovely view at the back of open . . . This house has been completely renovated to create a light, airy home. It benefits from . . . 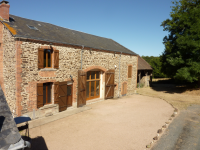 This lovely barn currently has two bedrooms, the master bedroom having a huge separate lounge . . . Pretty 3 bedroom detached house with fitted kitchen, brand new extension, now giving the . . .
Lovely, 4-bed stone house, renovated to a high standard,with large open plan kitchen, new swimming pool and decked sun area. Close to the spectacular scenery of the "impressionist painters" region of Crozant, this . . . This lovely character property is within easy reach of good sized towns. It is also within . . . Beautifully renovated 5 bedroom detached house in an idylic location. This lovely house is in one of the oldest hamlets in the area. Beautiful views over lovely . . . 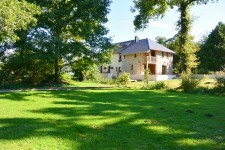 This lovely property is in good condition and is close to a large leisure lake and the River Creuse. This is a 3 bedroom apartment with a private roof garden/terrace, to be purchased off plan, situated to the right hand rear of this lovely old building. The apartment has permission for three bedrooms, W.C, family bathroom with W.C, Kitchen and . . . 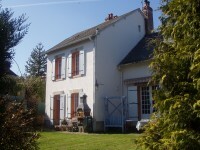 This lovely large house is surrounded by its lovely garden, close to St Plantaire in the . . . 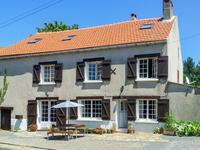 This lovely French property has been renovated throughout to a high standard. It has 3 . . .
Lovely, renovated 3 bedroom Longère in a great location. This nicely renovated property is located in a quiet hamlet yet benefits from being within . . . This detached house is set in the beautiful area of the 3 lakes which provide plenty of . . . The apartment has permission for three bedrooms, two of which are en-suite. A third W.C, . . . This completely enclosed property offers a good size, nicely presented house, plenty of barn . . . This lovely property is only priced as it is, to sell quickly. A real bargain to be had by . . .
Two bedroom detached house with garden attached and two separate plots of land. Ideal permanent or holiday home. Two double bedroom - one with bathroom en-suite. It is . . . This property enjoys that much sought after edge of village location, it has the bar at . . . This house offers the choice of being either a holiday or permanent home - perfect for either. This is a 2 bedroom apartment with a private terrace, to be purchased off plan, situated to the front of the building. The apartment has permission for two bedrooms, one with a dressing room. A family bathroom/ . . . This property is situated in a nice size hamlet yet only 5 minutes drive away from the lively . . . This semi-detached house lends itself to being either a good sized family home or possibly a . . . This properties barn is attached to the barn of the next door property but is still private. . . . This traditional three bedroom house has been mostly renovated but there is scope for further . . . 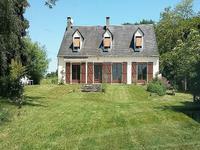 This house house is set in a little hamlet not far from the village of Bussiere Dunoise where . . .
Beautiful 3 bedroom detached house with fantastic open views at the rear from its balcony. . . .
Three/Four bedroom detached house with garage, parking, cellar and good size garden. This house is in need of a little updating but is in good condition and with the added bonus . . . Pretty three bedroom cottage with lovely large barn. Covered, decked terrace to front and . . . This charming house was once a cottage and a barn. It has been well renovated in such a way . . . Private but not isolated property close, by car, to amenities. This 3 bedroom house is situated within the beautiful 3 Lakes area of the Creuse. Close to . . . This house is situated in a small hamlet just a couple of minutes drive to the nearest . . . These two properties have had work started. There are plans drawn up to incorporate the barn . . . This three bedroom house is excellent as either a holiday, or permanent home. Surrounded by . . . This lovely detached house with its large barn is set in the beautiful open countryside of . . .
3/4 bedroom house with barn, workshop, wood store, cellar and small amount of outside space attached and larger garden plus woodland, not attached. The attached outside space is plenty big enough to use to sit out and have BBQ's. The non . . . The large workshop area is on ground level and presents many possibilties for its use. The . . . 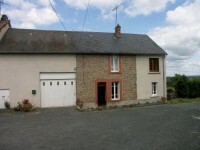 Pretty 3 Bed french house with attached barn, a short walk to the village with a popular . . . This very old property in the heart of a little market town has two/four bedrooms. It is . . .
Three bedroom detached barn conversion in the heart of a little hamlet. This barn conversion is tucked away in this typical French hamlet. 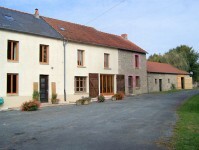 3/4 bedroom house with barn, workshop, wood store, cellar and small amount of outside space. Perfect property if you do not want lots of outside space to have to maintain - but plenty . . . This three bedroom house has the possibility to enlarge by converting the attic. Within . . . This pretty house is mostly renovated but still has scope to go further. It has its own . . . This cottage has had most of the major renovations carried out. To finish, it needs a kitchen . . .
Two bedroom cottage in the heart of a lovely little town. This semi detached cottage is in need of some modernisation but benefits from mains drains, . . . This house is set in a small hamlet near to a small lake. It is set back from the road in its . . . This cute cottage with its courtyard garden at the back is situated in the heart of a pretty, . . .
Detached house on the edge of a small town with all amenities. This 2/3 bedroom house is perfect as either a lock up and leave holiday home or, a permanent home. This property currently has one main, two bedrooms and a shower room and a fantastic attic . . . This cute 2 bedroom terraced cottage is within an easy stroll into the little market town of . . . Renovation of this property has been started but does need finishing. Once completed this . . . Perfect lock up and leave holiday home with lovely views. This cottage was originally two bedrooms but now has a bathroom and a bedroom in the attic to . . .